The Hindu religion may hold a lot of rituals and traditions, but none of them come without any meaning. The same goes for the elements of a Hindu wedding. The mandap is the ‘sanctum sanctorum of hindu wedding rituals. It is the central element in wedding decorations. A great mandap design is not just about pleasing aesthetics but also about the meaning behind putting up a canopy with four pillars that marks the auspiciousness of a fruitful married life. 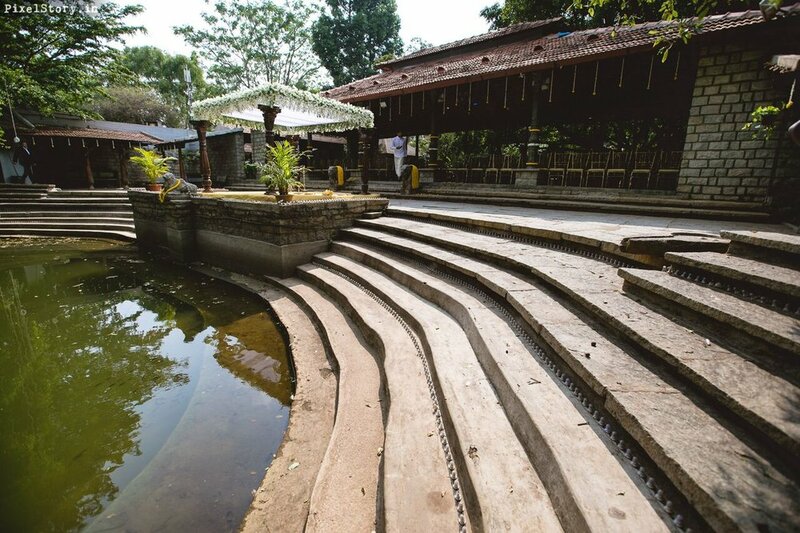 Only a select number of people are allowed in the mandap under its canopy, namely, the bride, groom, families of the bride and groom, and the officiating priest who will be summoning the rituals. There is an interesting story behind the whole concept of a wedding in a mandap. Back in the time, when the open ground were not hygienic for holy rituals, weddings happened within the four walls of their homes with the attendance of close family members. This is how mandaps came into being. With times, a lot has changed, but the underlying reasoning behind certain rituals haven’t. While the scenario of a wedding may be different, the meaning behind it remains the same. With the mandap having moved out of a traditional home to open grounds, wedding halls, to even beach sides, Hindu weddings have taken grandeur to another level while keeping in touch with the roots. Now, after having some clarity on how the concept of getting married in a mandap came into being, we are still to know the significance of a mandap in a marriage. It is closely related to the vedas, and here is the significance of a mandap in a Hindu marriage. A four poster structure with a canopy in the shape of a dome that marks the sacred area of a traditional Hindu marriage. 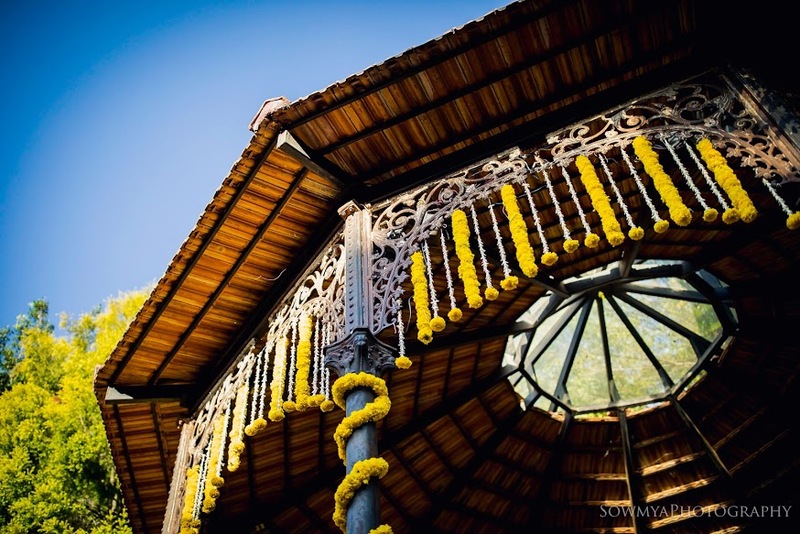 While a lot of venues have mandaps already built, the traditional ones are built with organic materials like wood, bamboo, sugarcane or banana stems with pots stacked nearby and the color of the canopy being red and yellow, denoting the colours of haldi and kumkum. All Hindu vedic traditions come with meaningful backings. The same applies to the weddings decor and rituals. According to the Hindu vedas, there are four stages of life - Brahmacharya, Grihastha, Vanaprastha and Sanyasa. The four posters or pillars of a mandap symbolize these four stages of life. It is in a mandap where the groom enters are a Brahmacharya and exits as a Grihastha, which means a householder. There are five elements of the universe - Earth, Water, Fire, Air and Space. There are decorated stacks of pots kept near the four pillars that symbolize the first four elements, while the fifth element of the universe, ‘Space’, is symbolized by the canopy on top, traditionally called ‘Gopuram’. It is believed that the mandap is the universe under which a new beginning starts, hence the elements are represented by the architecture of a mandap, making it an ideal place to start one’s marital life. The colours of a traditional Hindu wedding are usually vermillion red and yellow gold. One can see the colour combination in all aspects of a Hindu wedding from flower garlands, seating decor, haldi, kumkum, traditional sarees, etc. Along with that, there are a lot of splashes of green in the form of leaves used. A metal pot called Kalash is placed in front of the bride and groom which is said to represent the human body. The kalash is filled with Holy water from the Ganges or any other Holy river. This denotes the believe that the soul in the human body is pure. Topped with a coconut that represents the head or mind of the human body, and decorated with five mango leaves that represent the five senses of the human body, the Kalash is placed on a plantain leaf covered with paddy or raw rice symbolizing prosperity, fertility and wealth. This ritual of using a Kalash in a wedding sends across the message of a balance between the mind, body and soul, that is very necessary in marriages. According to the Hindu Vedas, agni or ‘Holy Fire’ stands for purity and spirituality. The ‘Agni’ is invoked and is a crucial part of any auspicious event in the Hindu religion. Respected and revered since the ancient times, the sacred fire is considered ‘The Witness’ to a wedlock. All the wedding rituals like the vows, saat pheras, etc., takes place in front of the Agni Kund, by burning fragrant herbs, ghee, raw rice and millets. The mandap overflows with fruits, flowers, pulses, silks and gold on the day of the wedding. The bride and groom and all family members are laden with gold and all things opulence, while the offerings made to the Almighty and the priests are also nothing less than a display of wealth. This display of wealth coming in along with the blessings of the elders is a reassurance of a good life to the newly weds. This marks the beginning of an abundant and prosperous life of the newly married couple. The revolution of modern mandap decor is a great way to keep the age old tradition alive even in changing times, but it is imperative for every couple to know the importance of the mandap and the significant meanings behind every ritual. 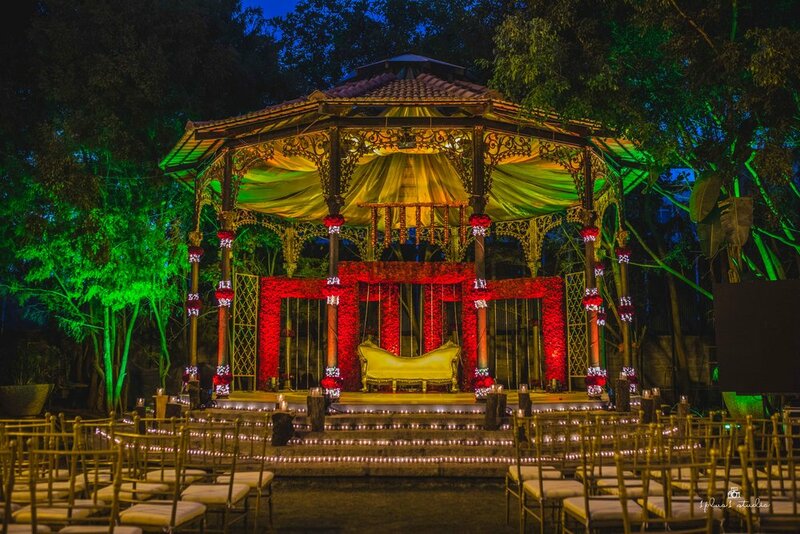 And now that you know a lot more about your wedding tradition, go ahead and read up on some of the most beautiful mandap designs that also cater to all the above significance.